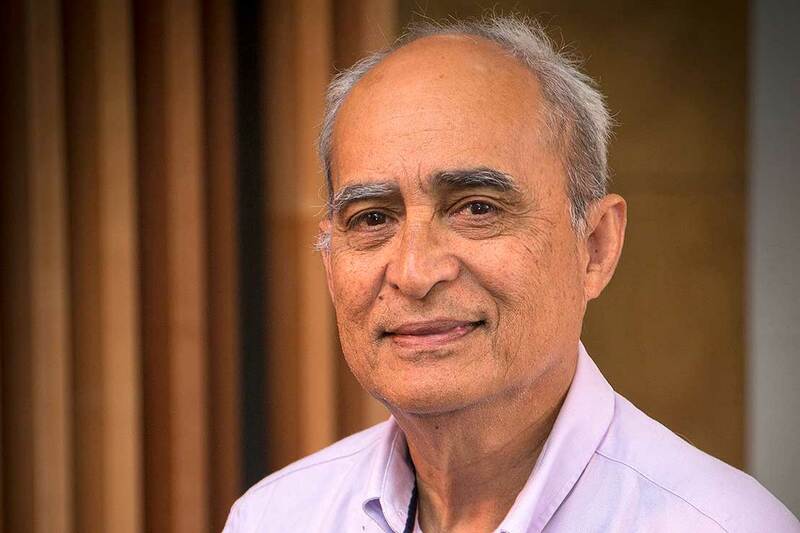 Dr Sunia Foliaki, from the Centre for Public Health Research, wants a South Pacific Regional Cancer Coalition established, to share expertise on cancer control and prevention at a regional level. Cancer is a significant and growing problem in the Pacific, with limited resources and finance, and a strategy which means cancer is often overshadowed by other diseases. Now researchers are calling for the challenges faced by the island nations to be facilitated through a regional cancer control partnership. The recently published paper Cancer control in the Pacific: A South Pacific collaborative approach, is co-authored by Dr Sunia Foliaki from Massey University’s Centre for Public Health Research, with Chris Bates (University of Melbourne), Dr Isimeli Tukana (Ministry of Health and Medical Services, Fiji) and Dr Neal Palafox (University of Hawaii Cancer Centre). He says determining the cancer burden in the Pacific in terms of morbidity, survival and mortality rates involves different obstacles to those encountered in more developed countries. “Cancer registration and information systems among many Pacific countries are often of questionable quality and comprehensiveness. “Where cancer numbers are low, there is often little justification to have staff dedicated to a registry. Data collection may be inaccurate due to the methods of data collection being based at just one hospital and not measuring incidences within the wider community,” he says. In 2011, Massey University established and/or upgraded cancer registries in four Pacific island communities – Tonga, Fiji, Cook Islands and Niue. The University also reviewed cancer in these communities and among Pacific populations in New Zealand and Nauru. “Our reviews of the cancer burden in Fiji, Cook Islands, Tonga and Niue showed that cancer incidence in these countries were lower compared to those of Pacific people living in New Zealand, with the latter group having similar cancer incidence rates to New Zealand overall. High rates of cervical cancer and liver cancer in the Pacific indicate an important role of infectious-related cancers. The explanations for high rates of uterine cancer are currently unclear,” Dr Foliaki says. Dr Foliaki says a South Pacific Regional Cancer Coalition could have several functions with respect to cancer control, including mobilisation and harmonising resources of the region, the coordination and sharing of local expertise and exchanging successful cancer intervention programmes. Dr Foliaki says the coalition could also provide a partnership with the International Agency for Research on Cancer for a regional cancer registry, as well as host regular meetings, either virtually or in person, for countries to share their successes and challenges. “Cancer treatment capabilities are known to be resource intensive, but they are much needed. Smaller island communities could pool resources and dissipate the individual financial risk for the greater Pacific welfare. A well-managed collaboration should provide a greater opportunity for all those suffering from cancer to access the appropriate services, and represent the south Pacific as a coordinated team fighting cancer with one voice,” he says. While it sounds like a huge undertaking, Dr Foliaki says similar regional network models are already in operation elsewhere. “A partnership between New Zealand and the south Pacific, especially Fiji, Tonga and Samoa, is becoming fruitful in the area of paediatric cancer management. “Children from Fiji are regularly referred to Starship Children’s Hospital in Auckland for treatment and Fiji readily accepts children from nearby islands like Kiribati and Vanuatu. A Pacific Children’s Cancer Registry, a web-based platform which offers cancer registries in Fiji, Tonga and Samoa, is already being piloted,” Dr Foliaki says. “Effective cancer prevention and control in resource-limited island nations requires a systematic approach with a multi-lateral dedicated group who are from within, and vested in the Pacific, who can represent the people, governments and health care systems and who have expertise in domains of cancer prevention and control. “There are existing Pacific-based regional models in cancer control such as those in the north Pacific where the Cancer Council of the Pacific Islands operationalises such a coalition in partnership with the Centre for Disease Control, which demonstrates that the development of a South Pacific Regional Cancer Coalition is feasible. It will provide leadership and is a necessary start which should be developed and implemented immediately,” he says.